Remember the Nexus 6P? Do I even need to ask? Just two days ago, we got a glorious look at almost everything the phone is touting, from the 5.7" WQHD display, the camera, the 3450mAh battery, the dual front-facing speakers, and the Snapdragon 810 v2.1 processor. Hot? Maybe, a little bit. What's even getting hotter is its pre-order date. According to our trusted sources, you should expect to give your Franklins to Google starting tomorrow, September 29th, the same day as the phone's announcement. How many Franklins exactly? Five. Well, minus a penny, but who's counting. That's for the 32GB version of the phone, but remember that this particular Nexus will come in 64GB and 128GB options too. Those should cost you more Franklins or maybe a different president. 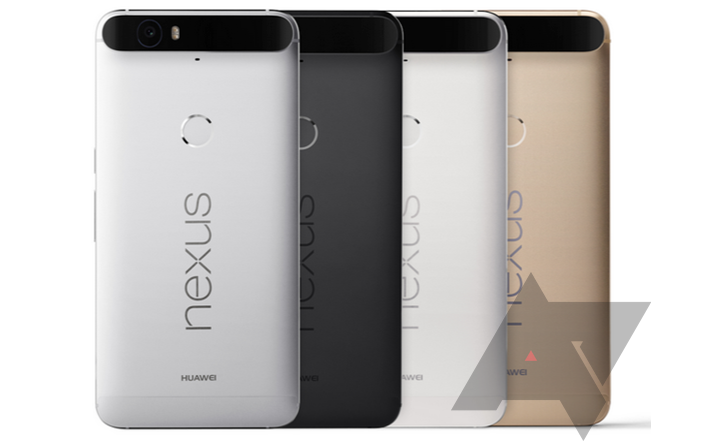 Countries where the Nexus 6P will be available for pre-order are the U.S., UK, Ireland, Canada, and Japan. The latter is getting exclusivity on the Gold color. The others will have to do with Aluminum, Graphite, and Frost. And yes, Canada is on this list, unlike the Nexus 5X one. Korea, however, isn't getting the 6P. Go figure. And remember, we don't expect carrier sales for this batch of Nexus devices. At $499.99, the Nexus 6P (32GB) is $120 more than the Nexus 5X (16GB), a reasonable bracket given the screen, battery, storage, and material differences between both models. So which one will be worthy of your hard-earned cash?